MOTION-SIM is an extended car simulator with 4 moving legs (an older model with 3 moving legs and rotation on a circle base), 3 x 27" 2D LED displays with a panoramic view, with a professional racing seat with safety belts, with a professional racing steering wheel, with 3 metalic pedals - an accelerator, a brake (with a real braking characteristic) and a clutch, with a manual sequentional gear shifter or H-pattern gear shifter and with a handbrake. Basic diference between our simulator and other simulators is, that our simulator simulate a feeling inside a car or inside an aircraft (especialy G-forces inside the car or inside the aircraft), and not the movement of the car or of the aircraft. Simulator gets data about a car position, about its speed, about a G-force, etc. from a game and moves a cockpit using these data. You feel like in a real car - inclination in curves, vibrations from a terrain or tarmac, a G-force during acceleration, braking or cornering up to 2G. 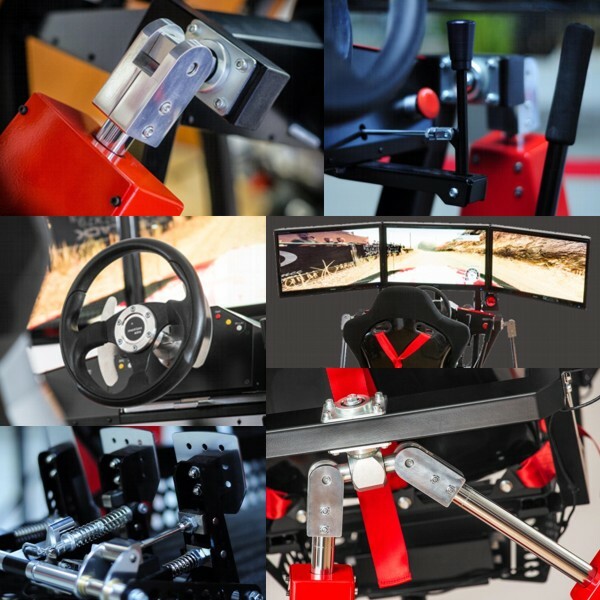 Simulator can simulate many types of races: rally, circuit races with a sport cars or special monoposts, a formula, carts, etc., on variety of real and virtual tracks. with a real truck seat with air suspension and also with cooling and heating system. 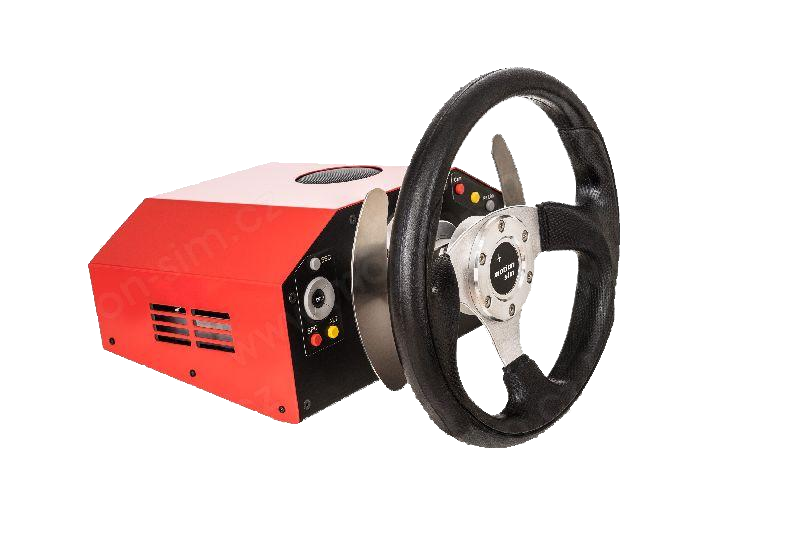 Real big truck steering wheel give you realistic feeling of driving. 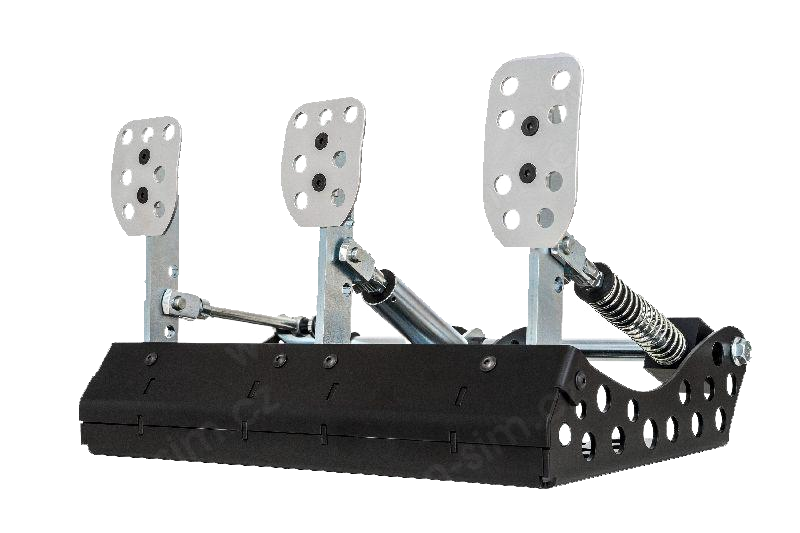 Also pedals are specially designed for truck. 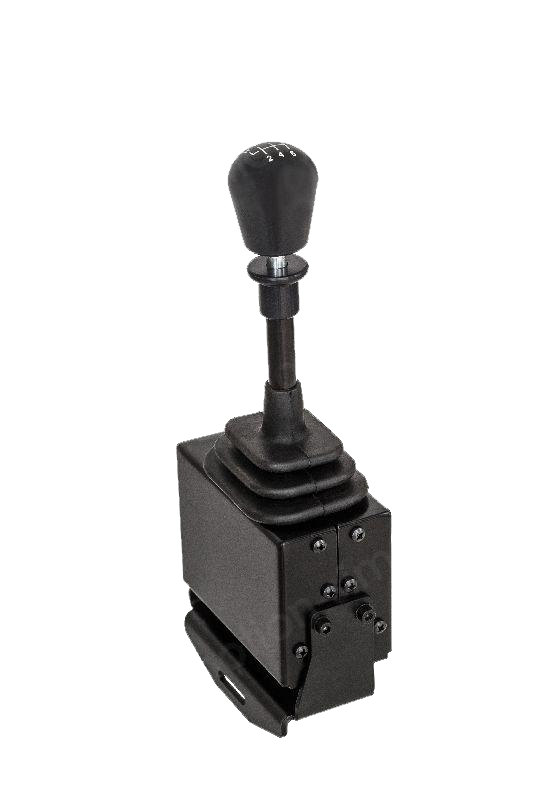 All is finalised with a real truck H-pattern gearshifter. 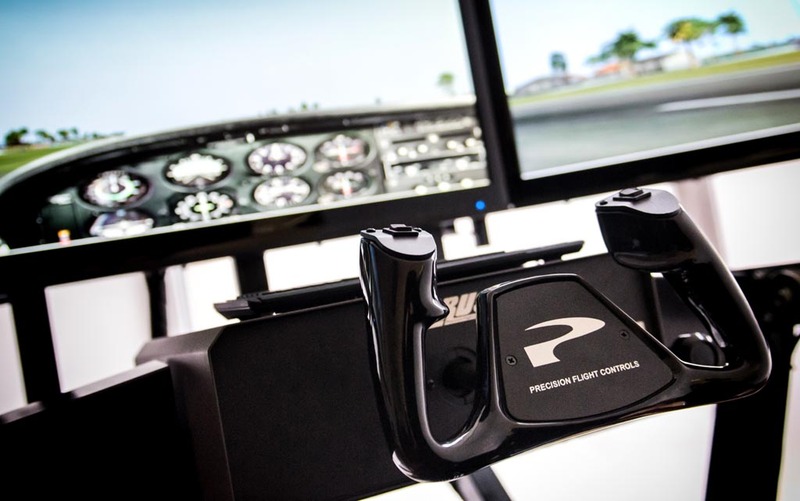 We also produce a version of Flight simulator with a special steering wheel (yoke) and pedals like in a real aircraft. 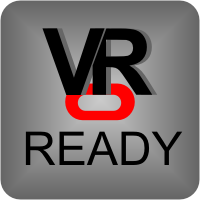 Our simulators are VR ready with Oculus Rift HD headset. The feeling from driving is on the top dimension. See more informations here.